Heart Rate Variability (HRV) testing evaluates what is a balancing act between your sympathetic nervous system – the internal fight and flight response – and the parasympathetic nervous system – rest and digest. An imbalance in HRV is a prime factor for sudden death by heart attack. 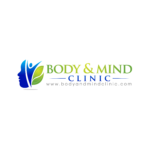 The simple hand electro-sensor test at the Body and Mind Clinic gives you a report on the balance between your heart and your nervous system in just a few minutes. The interest in HRV has grown year on year, particularly as the technology involved to register such can now be incorporated in a smartphone – but self-analysis is not really recommended and the test is best carried out with an expert who can analyse any existing problems revealed in the results. He can then advise on a health care regime to improve your life. HRV reflects the variation in time between each heartbeat and HRV-guided training is recommended for effective aerobic performance than any pre-planned training. Perhaps more importantly, HRV testing is recognised as a predictor of illness in those who seek moderate exercising and athletes alike. In clinic conditions, HRV can be accurately measured during ultra-short durations (one minute) and are carried out either in a supine (lying down), seated, or standing position. Do read our informative article on Heart rate Variability coming soon. Booking an appointment couldn’t be easier via a phone call or this website.